In this lesson, we will learn how to name and locate positive whole numbers up to five digits on the number line by using addition or subtraction. What number does the point 𝐶 represent on the line? Write the missing number on the given number line. Which of these numbers belongs in the box? Which of the following numbers lies at the indicated point on the number line, 11,100, 11,400, and 11,900? This line shows a sequence of whole numbers. What number is 𝑅 ? Which of the following numbers lies at the indicated point on the number line, 12,800, 12,300, and 12,600? Which of the following numbers lies at the indicated point on the number line, 15,100, 15,600, and 15,200? Which of the following numbers lies at the indicated point on the number line, 21,400, 21,300, and 21,500? 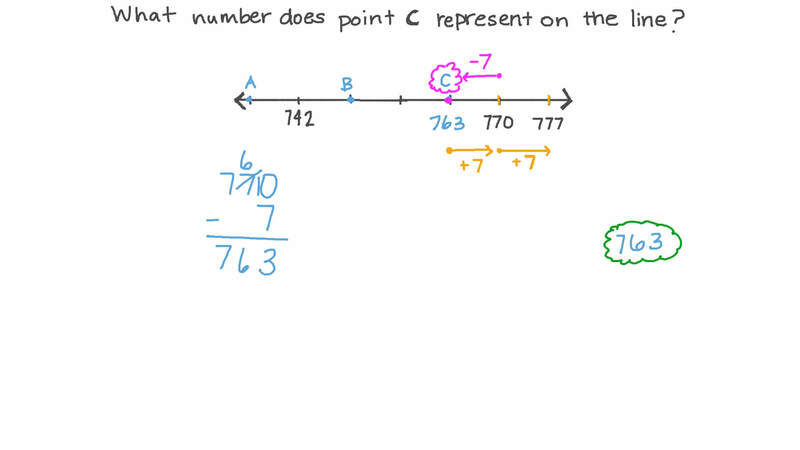 What number does the point 𝐵 represent on the line?